A traditional password audit typically involves extracting password hashes from systems and then sending those hashes to a third-party security auditor or an in-house security team. These security specialists have the knowledge and tools to effectively audit password hashes. They use password cracking software such as John the Ripper and Hashcat in an effort to uncover weak passwords. However, there are many risks associated with traditional password audits. The password hashes may be lost or stolen from the security team. A rogue security team member may secretly make copies of the password hashes. How would anyone know? Basically, once the password hashes are given to the security team, the system manager must simply trust that the password hashes are handled and disposed of securely and that access to the hashes is not abused. 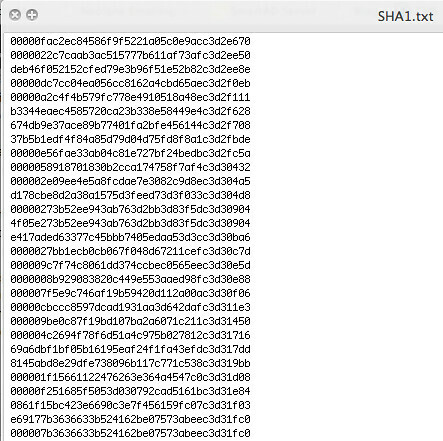 When the security team receives the filter, they use Blackhash to test it for known weak password hashes. If weak passwords are found, the security team creates a weak filter and sends that back to the system manager. Finally, the system manager tests the weak filter to identify individual users so that they can be contacted and asked to change passwords. This enables you to audit passwords without actually giving out the hashes. Security auditors do not have to transmit, handle or safe-guard the password hashes. I don’t understand the benefit of bloom filters to giving just the hashes without logins to the cracking-team. In both cases the only thing the cracking team can determine is “is the password J0shuaA123 used by any user”. They don’t know which user has the password. So there’s no benefit, just the drawback of being slower.